President Donald Trump is counting on bipartisan support for his tax reform plan, which he says will boost the economy and the middle-class. And, he may be in luck, as Democratic lawmakers facing reelection in states Trump won feel the political pressure. “I don’t want to be disappointed by Congress. Do you understand me?” Trump said to the cheering crowd. “I think Congress is going to make a comeback. I hope so. I'll tell you what, the United States is counting on it." 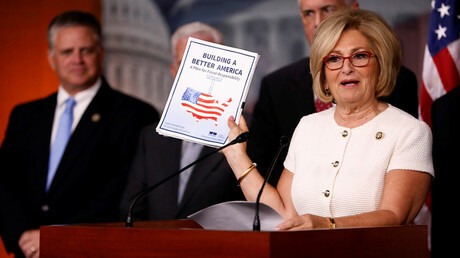 While calling for bipartisanship, Trump told his audience that if Senator Claire McCaskill (D-Missouri) did not support his proposals, they should vote her out of office. However, Trump’s wish for bipartisan support could be answered, as some Democrats are facing tough 2018 reelection races in states Trump won. 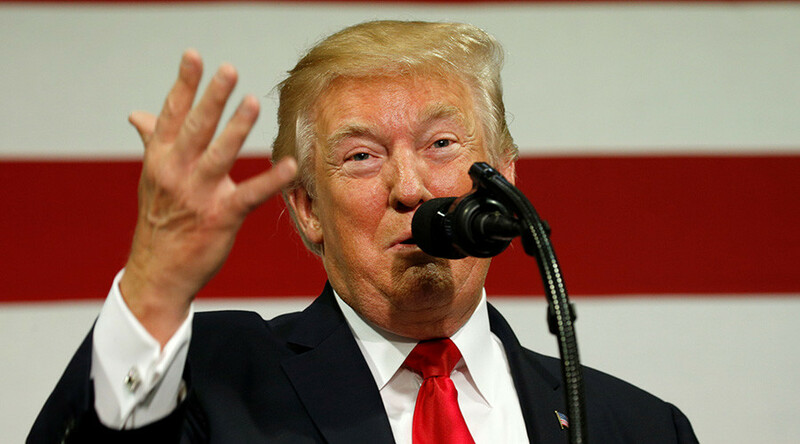 The White House is reportedly looking to gather support from three Democratic senators who will face reelection bids in states that Trump won by large margins. On August 1, nearly every Democratic senator signed a letter to the Trump administration, listing the changes that had to be made to the proposed tax reform plan in order to gain their support. Senators Joe Donnelly (D-Indiana) Heidi Heitkamp (D-North Dakota) and Joe Manchin (D-West Virginia) were the only three members who broke with the party line and refused to sign the letter. Under his plan, Trump said the tax would be simple, fair and easy to understand. In order to achieve this, Trump said he would get rid of loopholes, reduce the number of tax brackets, and lower rates. Trump also called for a competitive tax code that creates more jobs at higher wages for more Americans. Trump said the US has fallen behind other countries and proposed cutting business tax down to 15 percent. The president then called for tax relief for middle-class families in order to reduce the costs of child care and raising a family. “We want to help them take home as much of their money as possible,” Trump said. Finally, Trump said his plan would bring back trillions in wealth parked overseas. Under his proposal, he said companies would be incentivized to return 3-4 trillion dollars to the US that has been kept overseas. While Trump said that his proposal would benefit the middle-class, many Democrats disagree. Democratic National Committee chair Tom Perez said Trump’s proposal would “overwhelmingly benefit the super-rich and corporations over hardworking Americans." "Under this plan, the richest Americans would become even richer at the expense of middle-class families," Perez said in a statement obtained by CNN. Senate Minority Leader Chuck Schumer (D-New York) accused Trump of using populism to sell his tax plan, adding Democrats are ready to fight him over the coming months to stop his proposals from becoming law. “We’ve made it clear that our top priority this fall is reforming the tax code and cutting people’s taxes,” Ryan said in a statement. Thank you, Mr. President, for calling for a level playing field for American workers & job creators. The time for major tax reform has come. House Ways and Means Committee Chairman Kevin Brady (R-Texas) released a statement saying that he was “encouraged” by the president’s proposals. Several other Republicans and conservative groups came out in support of Trump’s proposals, tweeting their support just after his speech.
.@POTUS is absolutely right. We need #TaxReform that lets families keep more of their hard-earned money. Happy to work w/ @POTUS & across the aisle to create a fair tax code to create more jobs & allow people to keep more of their money.